Content warning: violence, mental health, disturbing content. 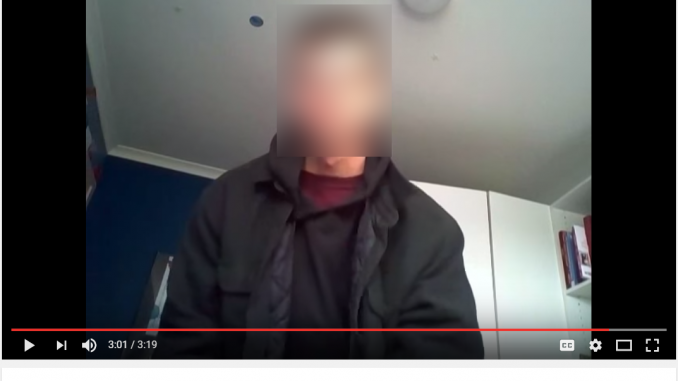 Alex Ophel, who allegedly attacked students with a baseball bat at ANU, left a series of videos and a post describing his mental state before the alleged attack, conveying his apparent loneliness and fear while also warning of a “presence coming to destroy the world”. He also claimed his actions were not motivated by race or gender. The ANU student wrote a Facebook post on the morning of the alleged attack on Friday — which left three students and a tutor injured — claiming he was “not crazy, I can just see more than others” while describing an impending apocalypse. The Facebook post followed a series of YouTube videos posted by Ophel in the weeks before the incident. Ophel, 18, was arrested on Friday and faced the ACT Magistrates Court on the weekend, where he was charged with seven counts of assault. He was taken to a mental health facility and will return to police custody after an assessment. On a Facebook post on Friday morning, Ophel claimed that the world was on the verge of being destroyed, and that “only people like me can stop it”. Ophel said “I have to do this” and that he had to “leave the safety of my current life, or worse things will happen”. Ophel went on to claim that “my actions have no other motive, whether that be racial, genderwise or other [sic].” His Facebook profile is no longer visible. Ophel also left a series of videos on YouTube in the weeks before the alleged incident, starting more than two months ago. The videos, made under a pseudonym, describe Ophel’s frustration at society, the media, bullying, and his love life. Ophel uploaded his first video in June, and after uploading several videos, was silent for another month. Then, he uploaded three more videos three weeks before the attack — the last of which was titled “One Weird Trick to Save Yourself”. Ophel never showed violent tendencies in the videos but he appeared emotionally unstable. “Your feelings can destroy you, ruin your entire life, and leave you a husk of what you once were, but they can also make you feel good,” Ophel told the camera. After reading a poem titled ‘maggot’ he said: “you got to listen to my poem, maggot. You’re the maggot.” One of his videos was titled “10 things that must happen to stop total annihilation of the world”. In his final video, which is artificially sped up, Ophel alternated between describing intimacies of his daily life — he describes in dispassionate detail his lunch that day — and simply repeating the wrist exercises he’s completing. He finished the video by appearing to retch in the camera. He said making videos was his ten-minute hobby “on days when I don’t expect to talk to many people”. An individual who knows the alleged attacker has confirmed his identity in the videos. ACT Policing Criminal Investigations Superintendent Ben Cartwright said on Friday the attack was an isolated incident. “All indication at this stage is that it is an isolated incident. Everything is part of our investigation as we go forward,” Mr Cartwright said. “The student stood up at the back of the classroom with the baseball bat and approached the lecturer. Other students have intervened and that is how the injuries have occurred.” As of Friday, two of the injured had left hospital while two more were still recovering. If you need to access counselling please contact ANU Counselling Centre on 6125 2442. Anyone with information should contact police on 131 444.